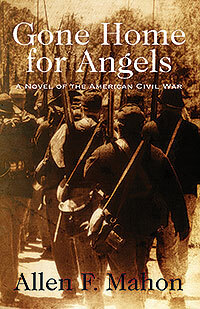 Allen Mahon has been a student of the Civil War since the age of twelve. His main focus of study has been devoted to his ancestors, who served in the 45th New York. 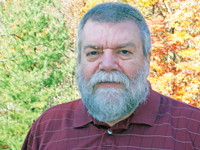 Allen currently lives in Buchanan, Virginia, with his wife of 41 years. They enjoy the company of their two adult daughters and two grandsons. When Nick Siler joined the Union Army, he left a world of loving family and plans for a happy future, and entered a world of physical challenges, hardship, and the horrors of war. As Nick adjusts to his new life and finds the bonds of family replaced by the fierce loyalties and deep friendships among comrades-at-arms, he feels that he will be able to survive the Civil War. But even two years of combat cannot prepare him for the unthinkable bloodbath at Gettysburg, which will take a toll on the Union Army, and on Nick personally. Overnight, the wounding of a loved one and the loss of a close friend will force Nick to mature from a nineteen-year-old boy into a man. Nick finds love in an unexpected place while he reaffirms his loyalty to his regiment and to the North. Amidst the chaos and carnage of war, Nick will dig deep to find his own reserves of courage, compassion, and determination. But will the best of Nick’s heart and soul, and the devotion of the girl he loves, be enough to carry him through? Gone Home for Angels is a meticulously researched, deftly plotted historical novel rich with authentic detail and characters you will care about long after you have turned the final page. 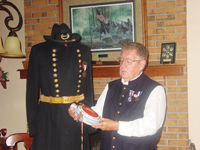 Douglas W. Roussin has been collecting and studying Civil War and Grand Army memorabilia for nearly 60 years. This is his second book on GAR memorabilia. Doug is a current member of the Civil War Veteran Historical Association and present Camp Commander of the Sons of Union Veterans of the Civil War. He enjoys relic hunting, traveling, gardening and antiquing with his wife Kathie. In the 83 years following the American Civil War, a powerful organization known as the Grand Army of the Republic dominated the life of the Civil War veterans. Founded in 1866, the organization’s membership peaked in the 1890’s, with nearly 450,000 veterans. In 1949, the last surviving members disbanded the organization and it became history. The organization was all but forgotten except by Civil War enthusiast, historians and collectors of Grand Army of the Republic memorabilia. During its existence, the Grand Army produced souvenirs in the form of badges, canteens and good luck horseshoes. “Canteens and Horseshoes,” is an in depth study of what the veterans left behind. This volume containing approximately 280 colored photos of Veteran’s badges, miniature canteens and canteens used to hold the veteran’s liquid of choice, “whiskey.” Their motto, “We Drank from the Same Canteen” had real meaning to the veteran. Along with canteens, this study contains a large variety of little known, and often overlooked, decorative horseshoes which the Civil War veteran proudly displayed in his home. 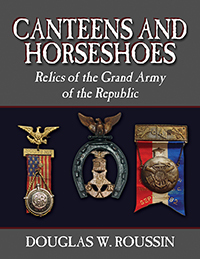 After nearly 60 years of collecting, researching information at numerous museums and conversing with other avid collectors, I have compiled and cataloged this study on Grand Army canteens and horseshoes. This study will give the novice and advance collector a better understanding of what can be found on the collecting market. The last remaining veterans never realized how fascinating their souvenirs would become to future generations.